In 1999, Mike Lincoln co-founded the first East Coast office of top Silicon Valley law firm Cooley LLP. 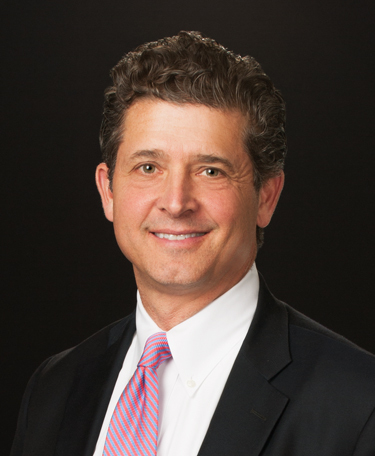 Over the last two decades, he has built out the practice to extend well beyond the region, today covering Boston and New York too, while also heading up the firm’s business department, and serving as an adjunct professor at the University of Virginia. Along the way, he has collected an impassioned group of founder clients, more than two dozen of whom had a lot to tell us about how he has helped them. Below, you’ll find founder recommendations, the full interview and more details like pricing and fee structures. 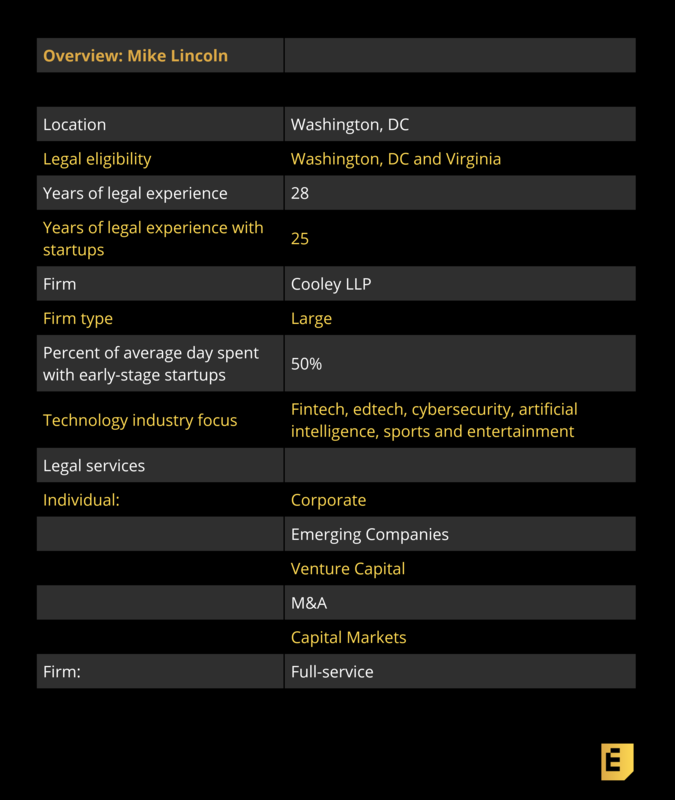 This article is part of our ongoing series covering the early-stage startup lawyers with whom founders love to work, based on this survey and our own research. The survey is open indefinitely, so please fill it out if you haven’t already. If you’re trying to navigate the early-stage legal landmines, be sure to check out our growing set of in-depth articles, like this checklist of what you need to get done on the corporate side in your first years as a company. Eric Eldon: I’d love to hear more about your background and how you got into startup law. Mike Lincoln: Out of law school, I clerked for a federal appellate court judge in Chicago and then I went to Latham & Watkins in DC. I have always been drawn to entrepreneurship and startups. I started a few very small companies myself in high school and after college and so had a bit of the entrepreneurial bug. After more of a Wall Street type of practice at Latham, I saw what was going on in the Washington, DC market in the 90s. Venture capital was starting to flow in to the market and companies like AOL were going public and I said to myself, “That’s what I want to do. I want to go work with startups and emerging companies and venture-backed companies.” And so I set out to go do just that. After talking to a few Silicon Valley based law firms, we ended up deciding to go with Cooley. So Joe Conroy and I launched the office in 1999 in Reston, Virginia and that was really the first Silicon Valley firm to make the move east. For the next decade after that, we were heads-down building a practice and a brand up and down the East Coast. My co-founder Joe Conroy is now the CEO of Cooley and I am now head of the business department. Even though I live in the DC area, I spend a great deal of time in Palo Alto because that’s where we’re headquartered and I have spent a lot of time in more recent years helping to launch our offices in New York, Boston, London, Los Angeles, Brussels and other places. But despite my travel schedule and my firm duties, I still do exactly what I have always done and that is to work with interesting entrepreneurs and startups every day of the week. That’s what I love to do.